Sheryl Toby (Member) has substantial experience in two unrelated fields. First she regularly advises manufacturing entities (such as automotive clients) in a wide variety of day-to-day supply chain matters. In both traditional and advanced technology manufacturing, she focuses on legal requirements within the context of practical application. She works closely with purchasing groups, in-house legal, finance and other business teams in developing strategy for addressing business challenges that intersect operational and legal issues. Her vast experience spans across matters such as, development of unique collaborative agreements in advanced vehicle manufacturing, front end procurement contracting best practices and addressing "stop-ship," financially troubled suppliers and other litigation threats. She is often called upon by entities to strategize with and lead experts in a variety of other disciplines to address unique challenges faced by companies in highly regulated manufacturing based industries including, for example, internal investigations of safety issues and other matters. 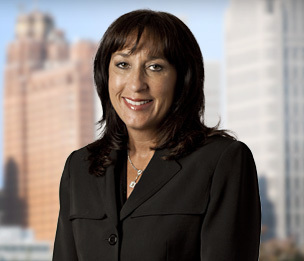 Second, Ms. Toby is a prominent bankruptcy and restructuring attorney with over 30 years of experience. She is known for her creative approach in providing solutions for creditors, debtors and lenders addressing financial challenges. Ms. Toby has been involved in numerous significant bankruptcy cases throughout the country and is a frequent speaker and media consultant in her fields. "How to Avoid Supply Chain Disruptions"
"What Do You Mean, I Can't Assume My Intellectual Property License? : Avoiding the Pitfall of Section 365(c)"
Selected as one of Crain's Detroit Business' "40 Under 40"